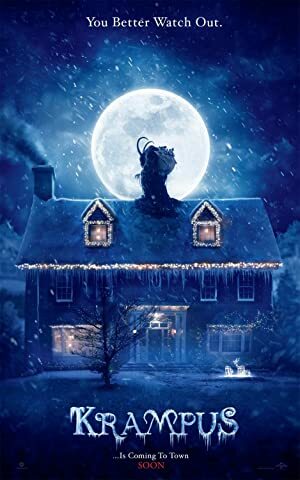 Krampus (2015) – What's New on Netflix Canada Today! A boy who has a bad Christmas ends up accidentally summoning a festive demon to his family home. When his dysfunctional family clashes over the holidays, young Max (Emjay Anthony) is disillusioned and turns his back on Christmas. Little does he know, this lack of festive spirit has unleashed the wrath of Krampus: a demonic force of ancient evil intent on punishing non-believers. All hell breaks loose as beloved holiday icons take on a monstrous life of their own, laying siege to the fractured family’s home and forcing them to fight for each other if they hope to survive. A boy who has a bad Christmas ends up accidentally summoning a festive demon to his family home.